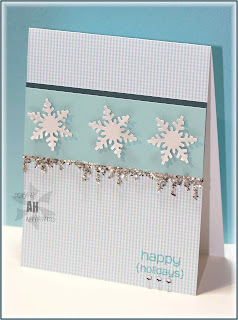 The Featured Stamper on SCS this week is CriminalGrace. 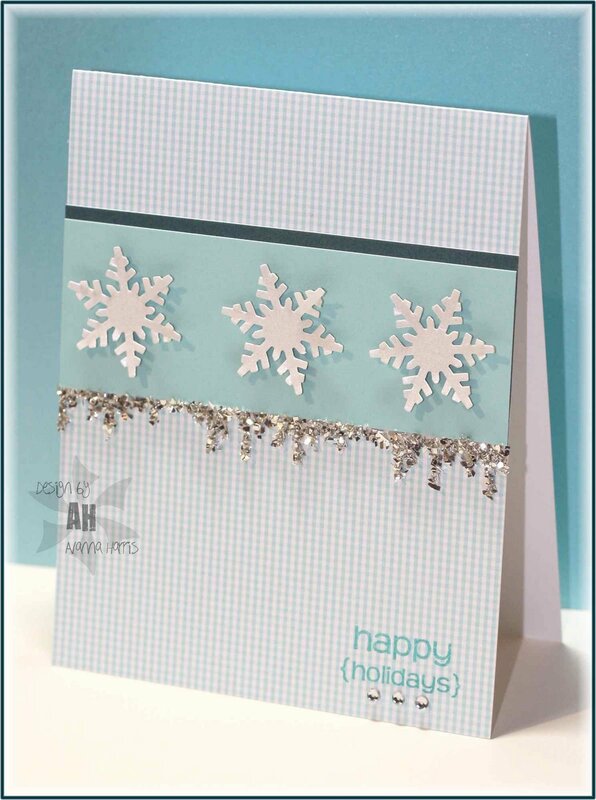 Her card designs are always clever & inspiring, plus she loves A muse stamps! I made a card based on her Trio of Tulips...switched up the season and changed the colour scheme but kept the great layout. I recently ordered some of the glass glitter from SU after using it at stamp camp...this stuff is heaven - glitter that actually only goes where the glue is and is really easy to clean up after! I can use it and not be a sparkling glittery mess afterwards!! I "cheated" and used the MS drippy goo punch instead of the more winter-appropriate icicle punch. Covered in glitter, I think they look close enough to icicles!! Make sure you check out Sarah's wonderful gallery...and have a great day!